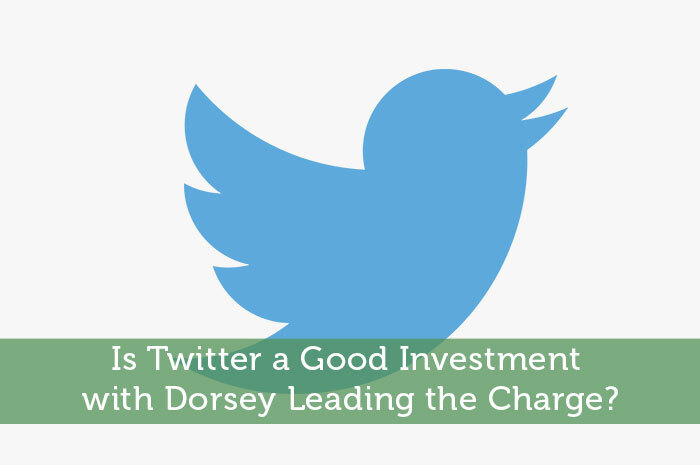 Is Twitter a Good Investment with Dorsey Leading the Charge? Twitter is one of the world’s largest social networks. However, the company has been struggling for quite a while and their stock can prove it. Since late last year, new users have been a major issue Twitter. However, since the issue started, we’ve had a CEO shakeup and Dorsey is now leading the charge. Now the question is, is Twitter a good investment under Jack Dorsey’s leadership? Personally, I have a couple of big concerns. Today, we’ll talk about why I’m concerned with Jack Dorsey being the company’s CEO and what I think we can expect to see from the stock moving forward. From the year 2006 to the year 2008, Jack Dorsey served as the CEO of Twitter. In his two year run, he had a rough time maintaining leadership of the company, and for good reason. Back then, Jack Dorsey seemed to have three big interests. Those included learning how to sew, learning how to draw, and partying. These extracurricular activities took up much of his time. Therefore, he never really seemed focused on the task at hand, building Twitter to be the giant everyone knew it could become! As a result of Dorsey’s extensive time sewing, drawing and partying, his co-workers didn’t feel as though he was focused enough to maintain his position as CEO of Twitter. As a result, he was fired from his position. This was not Dorsey’s decision, it was a decision made by members of the company for the betterment of the company. As a co-founder, Dorsey maintained a role with the company, but it was proven that his role was best if it wasn’t as CEO of the company. While I do believe that people do change over time, the role as CEO of a company like Twitter is a big one to hold. I’m sure Dorsey isn’t partying as much as he was in the past, however, I’m not convinced that he’s focused enough to do a great job as CEO quite yet. This leads us to the next point. As mentioned above, Dorsey had plenty of distractions in the past. The reality here is, that hasn’t changed. The only thing that has changed is what those distractions are. While in the past, he focused on drawing, sewing and partying, these days, he’s focused on something more important… Square. Dorsey founded Square after he was released from his position as CEO of Twitter the first time. Since then, Square has grown to be a massive company! So big in fact that the company is going public this year. This creates quite an issue. You see, Jack Dorsey is currently the CEO of Square. Since Square is a company that is going public, you have to imagine that maintaining control of this company is going to take quite a bit of time. On the other hand, Dorsey is also now the CEO of Twitter, a company that’s fallen on hard times. When companies are dragging, the CEO must put more time than he would in any normal situation. The same goes for a CEO that is sending their company public. I’m going to piss a ton of people off here, I already know. Feel free to send the emails and leave the comments. Nonetheless, the bottom line is that Dorsey is not the man for the job. He’s proven in the past that this is something he can’t handle. Now, he’s got more on his plate, but he’s trying again anyway. It just doesn’t make sense! OK, there you have it, that’s my opinion… what’s yours? Let us know in the comments below! My jaw literally dropped when I saw be was going to be made CEO, let alone made CEO while remaining CEO at Square. This does not bode well for either company. You would have to pay me to invest in either one at this point.